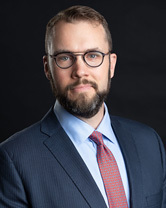 Justin Pitt serves as the Company’s primary counsel for litigation, managed care, reimbursement and other matters and is responsible for the operations of the Company’s Legal Department. He first joined the Company as Litigation Counsel in 2009 after years of private practice as a litigator and lobbyist to the Tennessee General Assembly. Pitt serves on the Federation of American Hospital’s Medicaid and Managed Care Committee and the American Health Lawyers’ Association’s Dispute Resolution Task Force. He received his law degree, Order of the Coif, from Washington University School of Law.